Story: Famous scientists around the world have mysteriously disappeared and Chronicle reporter Polly Perkins (Paltrow) along with ace aviator Sky Captain (Law) are on the investigation. Risking their lives as they travel to exotic places around world, can the fearless duo stop Dr. Totenkopf, the evil mastermind behind a plot to destroy the earth? 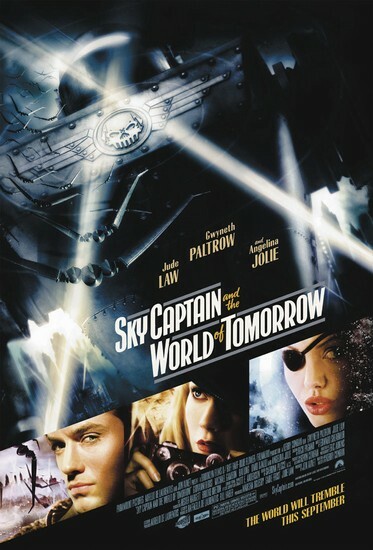 Aided by Franky Cook (Jolie), commander of an all-female amphibious squadron, and technical genius Dex (Ribisi), Polly and Sky Captain may be our planet's only hope.